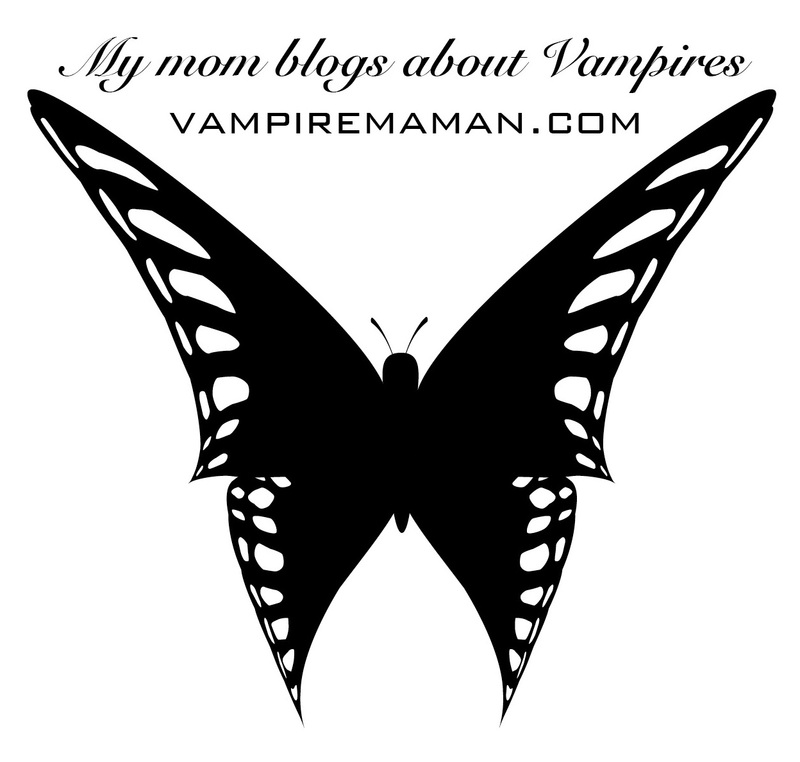 This entry was posted in Bring Cool, Fantasy, Fashion, Gothic, Gothic Fashion, Parenting, Teens, Vampire, vampire fashion, Vampire moms, Vampires and tagged being the cool mom, blogging, getting the word out, mom fashion, my mom, my mom writes, shirt designs, teen fashion, teens, vampire maman. Bookmark the permalink. Didn’t know there were vampire butterflies???? What happens if you get bitten by a vampire butterfly? 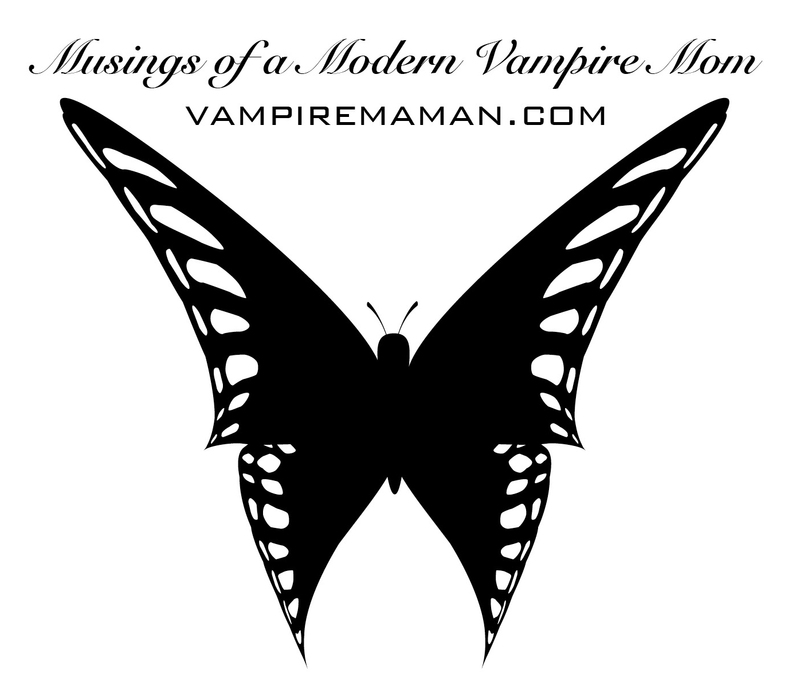 Do you turn into a vampire, a butterfly or both? Cool design. Do you have a UK franchise yet? Glad you like the design! I WISH I had a UK franchise! Isn’t there an international vampire network you can plug into? There might be an extra shirt to go with those earrings yours too if you want it! great! Love it. tried to like, but won’t let me. I’ve been having some technical issues as well. At home where we have horrible internet service I can’t get half of the WordPress functions. I can’t view blogs I follow. I can’t even use Chrome or Firefox anymore. When I’m somewhere else, several other places, I can get a full functioning WordPress. Glad you like it! I wish you success in sorting t all out. Sometimes, I think the Internet os too complicated for the likes of non nerds. I can’t live without the Internet now. Interesting. My bathroom has many black butterflies, and a few white ones too. Don’t know if any are vampire butterflies. How can you tell? Story ideas coming to mind. I often use the butterfly or moth image in my posts because they are both beautiful and mysterious. 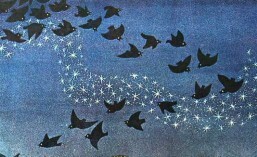 Moths are attracted to light and flame in the darkness. In some cultures the butterfly is the symbol of the soul or rebirth or joy. If one just happens to be the rare Vampire butterfly it will never tell.